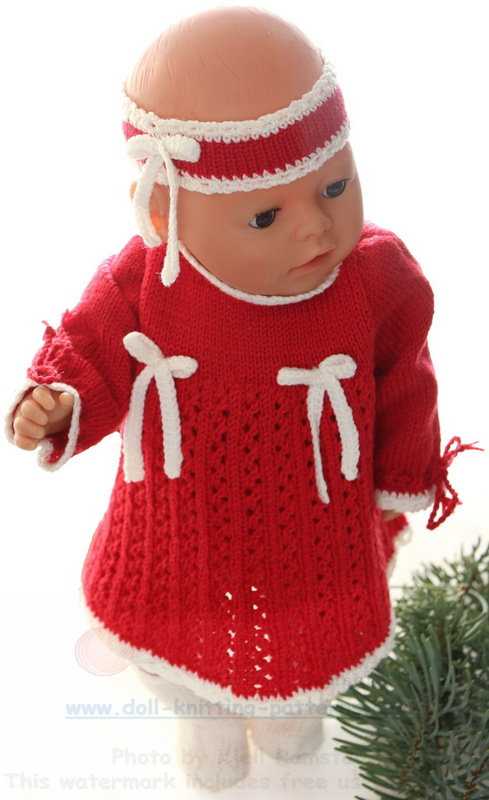 This time I have knitted Christmas clothes for my doll Sophia. 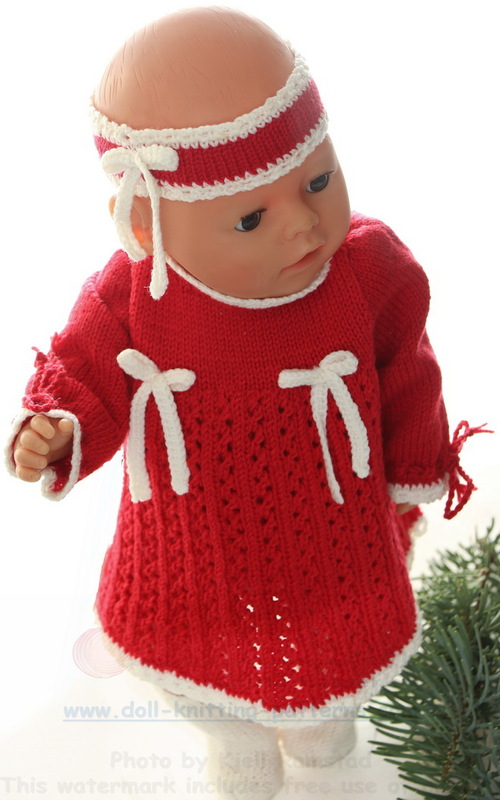 I have knitted the clothes in red as red is the main Christmas color. 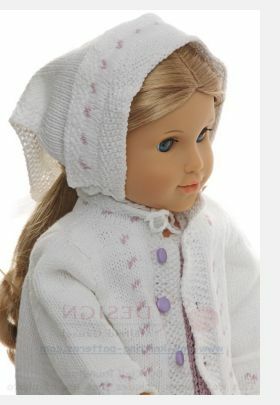 The clothes have white edges and white bows. 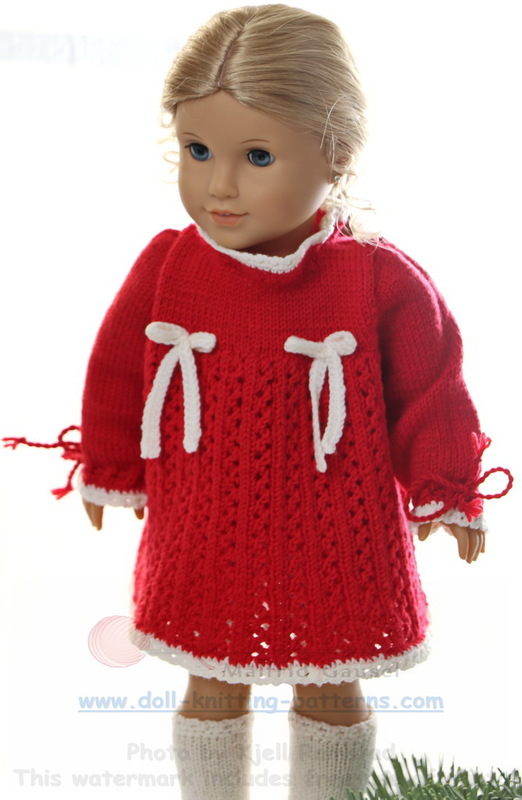 I found a lovely pattern and thought that this pattern could be beautiful for the doll’s Christmas dress this year. 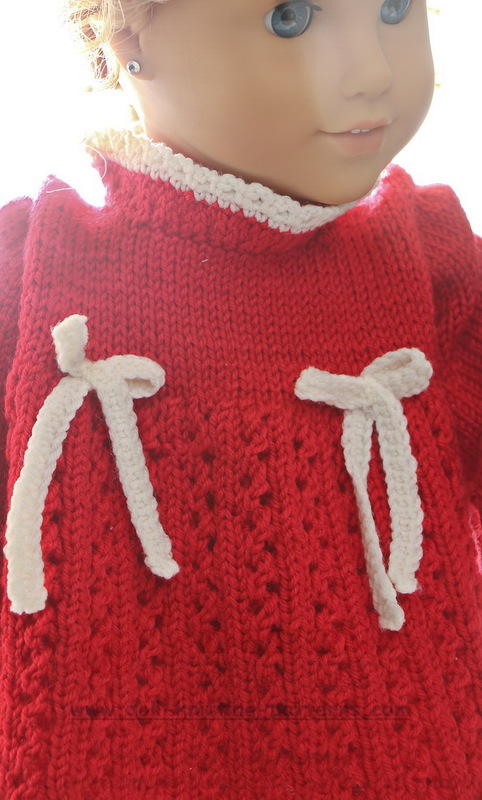 The sleeves are tied round the edges with a chord tied with a bow. 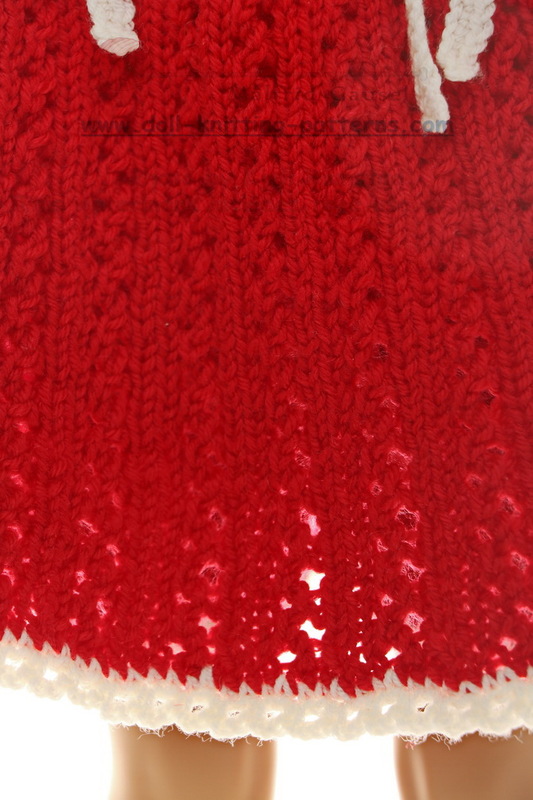 Cast on 168 sts and knit 3 rows ga before knitting pattern in the round. 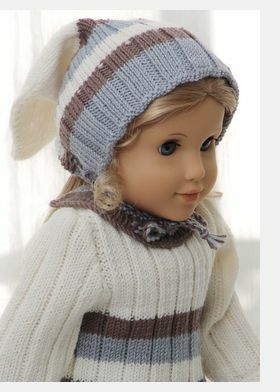 Continue knitting pattern until work measures 12 cm for Baby born (14 cm for American Girl doll). 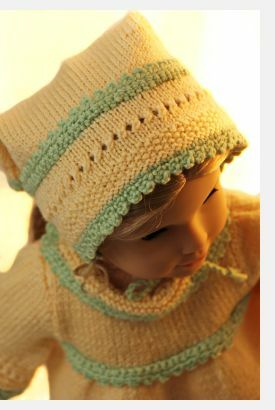 Continue knitting pattern and on next row cast off for the armholes like this: Begin at 1 side: Cast off 3 sts, k78, cast off 6 sts, k78, cast off 3sts. 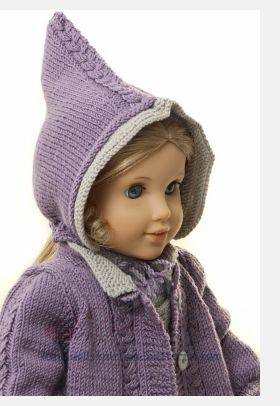 Continue knitting back and front separately. 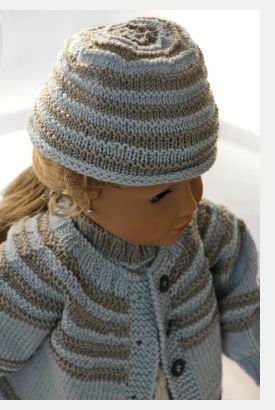 The dress has a neckband with a nice crocheted edge. 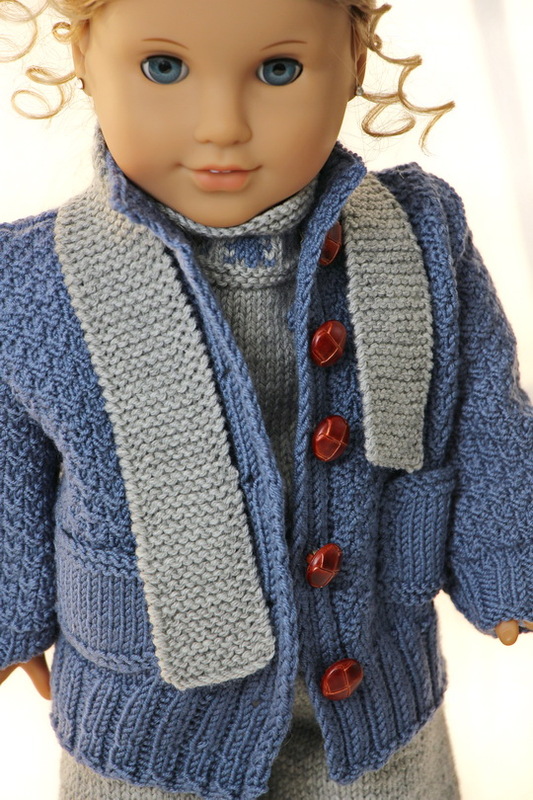 It is buttoned back with a little white button. 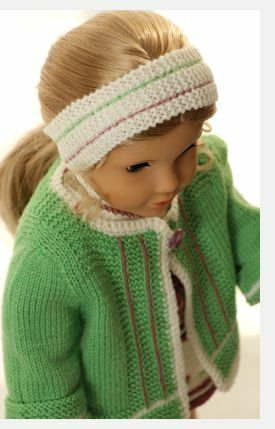 At last, I crocheted two bands (chords) in white, ironed them, made small bows, and sewed them at each side of the front of the dress. 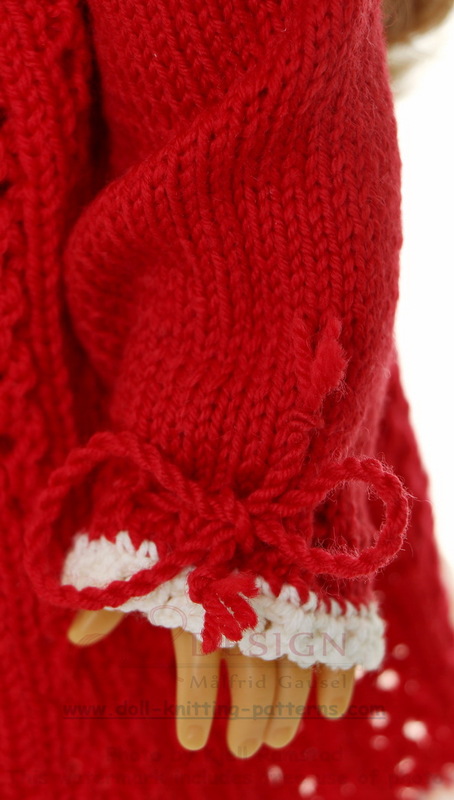 Then I knitted pants in red. 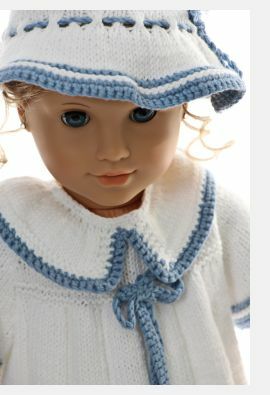 These pants have white crocheted edges round the legs and are tied with a chord round the waist. At last, I knitted a pair of socks in white. 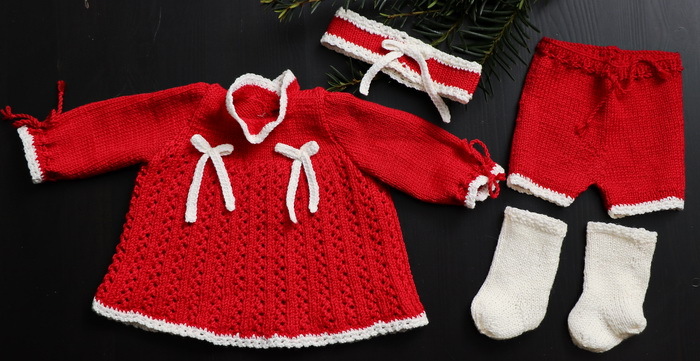 Lovely socks for celebration and nice to wear together with these Christmas clothes for our doll Sophia. 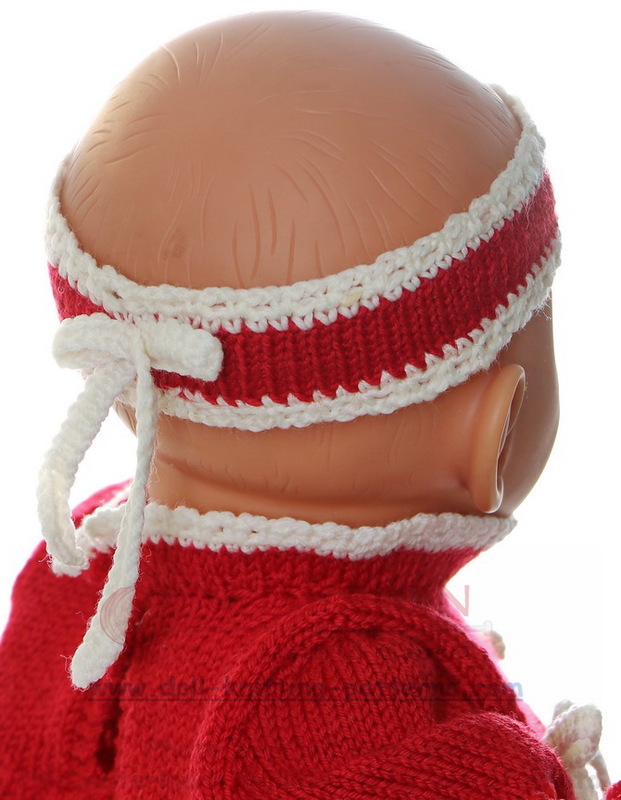 A simple hairband is knitted in red with crocheted edges along each side. 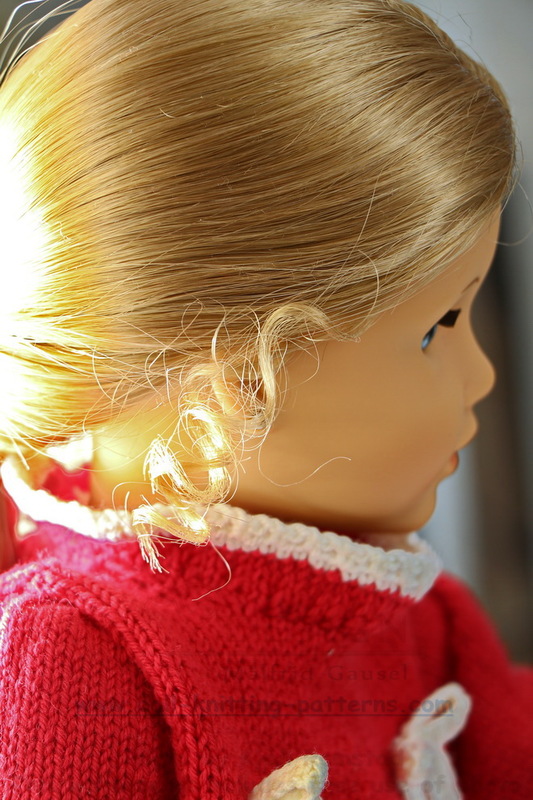 A band (chord) is crocheted and tied like a bow and sewed to the back of the hairband. 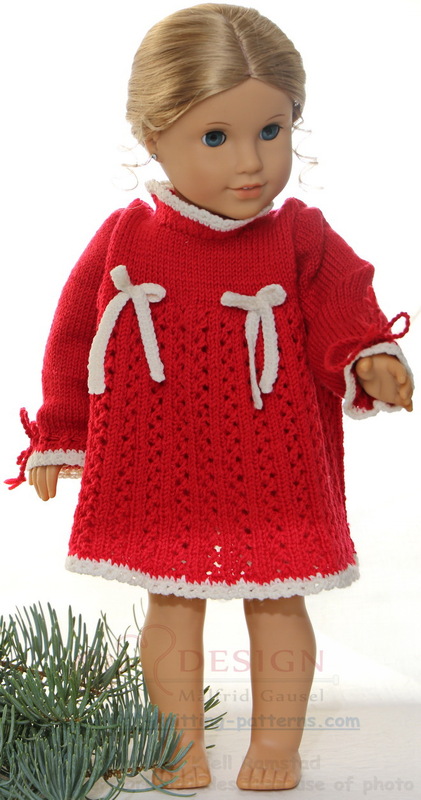 The dress was lovely knitted in this old pattern.